C.J. 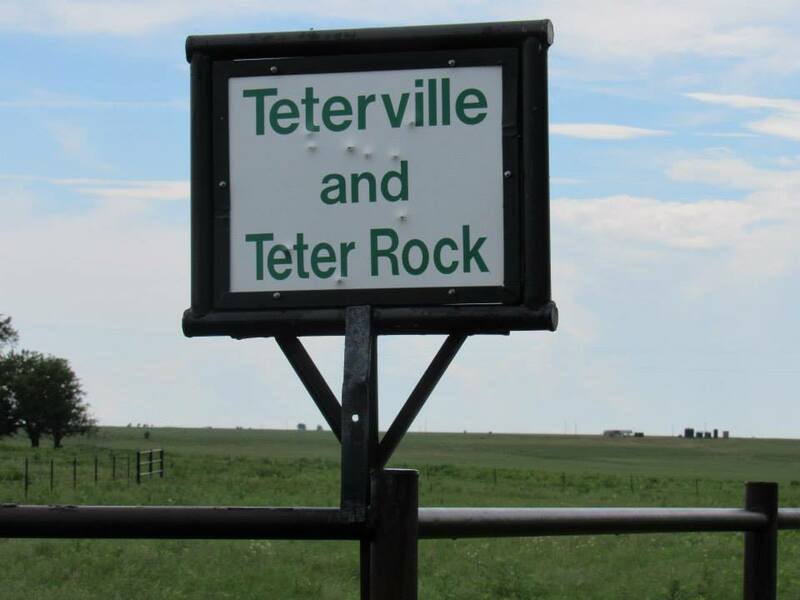 Garriott, Gail’s sister, said, “Coming back from Rock Springs 4-H Ranch, we detoured to find Teterville. It’s where my parents and sisters lived when I was born in 1934. 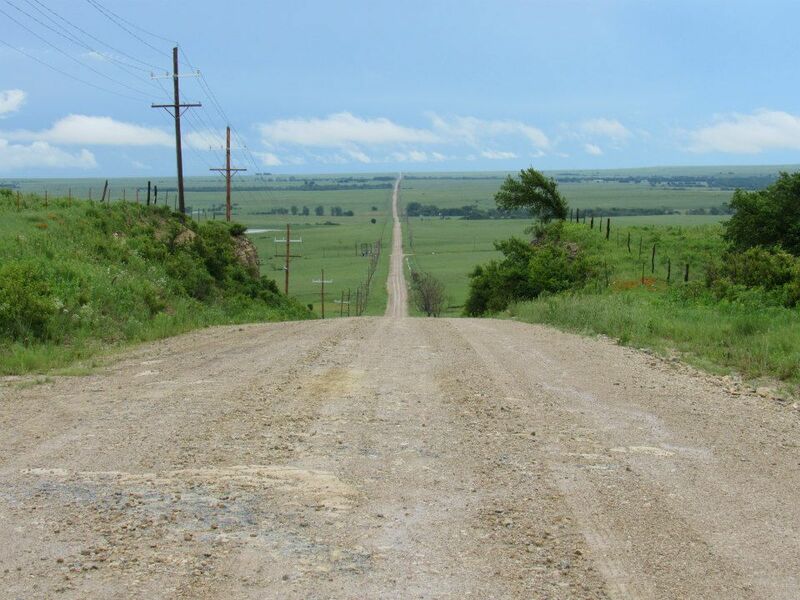 This is Teter Hill, which is one of the highest hills in Kansas, if not the highest. As a little girl, when Daddy was navigating our car up the zig-zag track that vehicles had worried out of the rocky scrub, I was certain we were going to fall off the world. Teterville is beyond a ghost town these days, just foundations here and there. The sign for the long-gone town of Teterville, Kansas. Photo by C.J. Garriott. The road trip started with a tree planting ceremony at the Rock Springs 4-H Center near Junction City, Kansas. Clyde was a 4-Her as a boy and Gail guided many young 4-Hers in her years as a project leader. Having a tree providing shade to future 4-Hers seems like a very fitting memorial for them. The side trip to Teterville was for the purpose of spreading Mom and Dad’s ashes. They had both chosen cremation. After Dad’s death, we had talked with Mom about making a trip out to the Flint Hills with his ashes. It was difficult to get her and all my siblings together for that excursion. It was several years later and the time was right, even though not all of us could be there. Teterville was chosen for Mom’s ties to that now-defunct town. Gail’s sister, three of Gail and Clyde’s children, and some grandchildren and great-grandchildren made the trek on a day of torrential rain. During the brief break in the downpour, the ashes were spread. Some were tossed into the Kansas wind to drift to earth at random. Mom and Dad felt a special affinity for the Kansas Flint Hills. Now they are a part of this scenic area. Looking across the Flint Hills from Teter Hill. Photo by CJ Garriott. I joined a balance class that meets two days a week in the active retirement community where I live. It seemed like a good idea since my doctor tells me I have osteopenia, the stage you go through before osteoporosis. With the class, I hope to improve my agility and prevent a fall where I might break a hip. My mother suffered that, as had her 94-year-old grandmother some 40 years earlier. In both cases, the broken hip was just the first part of a downward spiral leading to death. Here’s an article that my mother wrote for the online site Squidoo back in 2009. Before Christmas in 2012, Mom slipped on a throw rug at someone’s home and broke her hip. After hip replacement surgery, she was in rehab and hoped to go home in a few weeks. Unfortunately several heart attacks followed and she died at age 88. A while back, I took a tumble at home and really gave my leg a whack. 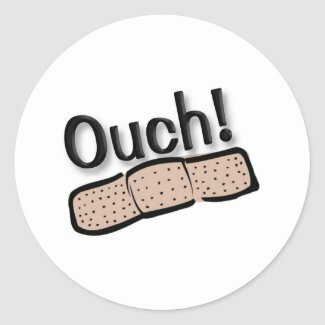 Fortunately it wasn’t broken, but it sure hurt. Falls can happen to anyone, but when you’re older, it gets more dangerous. I’d taken some precautions, but here are a variety of things you can do to avoid falling at home. No matter what your age, you need to remove tripping hazards from your home. The tips I provide here are targeted to the elderly, but others can benefit as well. I’d already removed most of the throw rugs in the house. Those are notorious for slipping underfoot or getting an edge flipped up for you to trip over. Don’t leave clutter on the floor. I clip the newspapers, so I put a basket for those and my scissors under the side table. That way I won’t accidentally step on the loose papers and go skating across the room. Be particularly careful if you have pets. Dogs and cats love to follow you around and to twine around your legs. You probably won’t give them up, so just be careful. 1 – When you get up from sleeping, sit for a minute on the edge of the bed. That lets you get oriented and more balanced when you stand. 2 – Don’t leap up and dash for the phone. Keep a cordless phone at hand by your chair. Then you won’t be breaking your neck just for a recorded sales pitch. If you don’t have a cordless phone, take your time getting to the phone. They will leave a message or call back if it’s important. 3 – When you carry things, be careful that they don’t block your view of the floor. 4 – Don’t stack things in normal walkways. Put things in a corner, a closet, or up on a chair. Don’t walk around without turning on a light at night. 5 – If you use a laprobe to keep out the winter chill, be very careful not to get tangled in it. Totally unwrap it from your legs and put it aside. 1 – Know about any precautions you should take with your medicines. Does your blood pressure medicine make you a little woozy? Read over the paper the pharmacy gives you with the medicine. If you take more than one medicine, ask the doctor or the pharmacist to be sure they don’t interfere with each other. 2 – Ask your doctor to do a balance assessment on you. They can do this at most health fairs too. If your balance needs improving, there are simple exercises you can do. 3 – If you are supposed to use a cane or a walker, don’t be too proud and independent to use it. Remember, safety first. 4 – Have your eyes checked every year. Maybe you aren’t seeing everything that you need to. 5 – Don’t go too long without eating. Skipping regular meals can make you light-headed and apt to fall. My daughter got me one of these. It makes me feel more secure that if I should fall, I could push the button and be instantly connected with 911. If you are thinking of a Life Alert to wear in case of falls, you might be put off by the monthly monitoring fees. This one doesn’t require that, so is much more affordable. The button connects you directly with 911, so no monthly service fee. Peace of mind. For inside the house, I just use a regular cane, but in the yard, I prefer the four-footed one for more stability on uneven ground. Don’t lock the bathroom door. If you have a fall in there, no one can get in to help you. 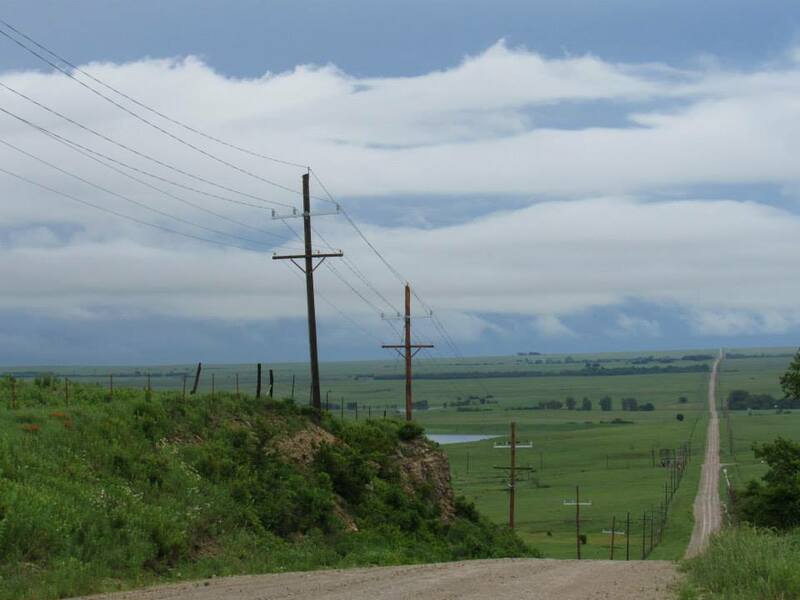 Growing up in the heart of the Kansas Flint Hills, Mom loved wide-open spaces. I remember an excursion with her to find a tumble-down stone house that she caught a glimpse of one day. Most people, zipping along on the state highway, didn’t even register its presence. Near El Dorado, Kansas, you’ll find this old stone house. Almost hidden in a fold of the hills, it sat abandoned for 70, maybe even 100 years. Taking to the gravel back roads, she finally found her way to it. We had to trek through long prairie grass to get closer while keeping a sharp eye out for rattlesnakes. We were also wary of range cattle. Most would not bother us, but a bull could be aggressive. The stone house, small and just a single room, looked lonely with its roof long gone and its walls only partially standing. The fallen limestone blocks littered the ground around it, blending in with the golden grasses of autumn. 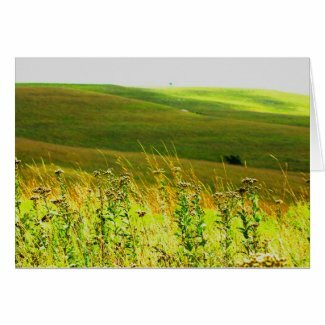 Thank you, Mom, for instilling in your children an appreciation of those early Kansas pioneers and for the seemingly endless prairie views. My sisters and I talked about a suitable place for spreading our parents’ ashes. The Flint Hills area is high on our list of places they would like. Abandoned stone house in the Kansas Flint Hills. The roof is gone, and the walls are starting to crumble. Imagine the work of constructing this house in pioneer days. 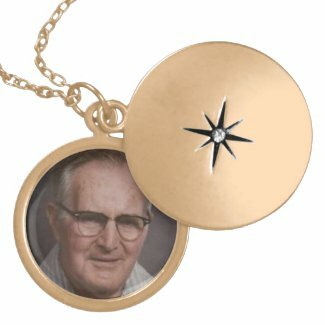 On the anniversary of Dad’s death, I gave my mom a locket with his photo on it. She loved it. After breaking her hip, Mom was in the hospital and then rehab and then the hospital again. My sisters and I tried to keep our spirits up but every time we became hopeful, there was another setback. 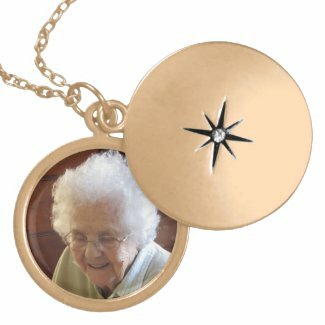 I used Zazzle for having the pendants made. I ordered lockets for myself and my sisters with Mom’s photo in it. They came in time for Christmas which was a subdued family gathering with the matriarch still in the rehab center. Lockets sound a bit old-fashioned, but they are a way to hold that special person close to your heart. Mom’s mother had a rectangular locket that she wore while her husband was in France during World War I. You can see a photo of it and the picture it contained on this page: Ruth Vining McGhee. Day 3 of the A to Z Blog Challenge, so at my sister’s suggestion it is about Dad. This is the anniversary of my father’s death. Mom lived over a year after losing her lifelong mate. Married 66 years meant their lives were strongly entwined. Being without her spouse seemed to shift her whole perspective on living. For the last few years of Dad’s life, they were mostly homebound by his difficulties in walking. Mom didn’t want to leave him home alone, so she skipped the large family gatherings at Christmas and other occasions. After losing Clyde, she resumed excursions with her daughters to eat out or go to a local baseball game. Family faithfully visited, brought food to tempt her appetite and checked on her needs. Still she pined for Clyde. She mentioned that she sometimes talked with Dad, telling him about her day or sharing tidbits of information about family or the neighbors. Her enjoyment of baseball games on television or her favorite crime shows diminished. “It’s not the same, watching them by myself,” she said. Some days she didn’t want to get out of bed. Hospitalized for a broken hip, brought an end to that time of drifting. Life became a day-to-day struggle. I think then she started planning to be with C.O. again. C.O. was her personal nickname for Clyde. I was by her side when she had the third heart attack. “Clyde didn’t tell me it would be so hard to go,” she gasped as the gripping pain brought tears to her eyes. Dad had a grueling time at the hospital too. 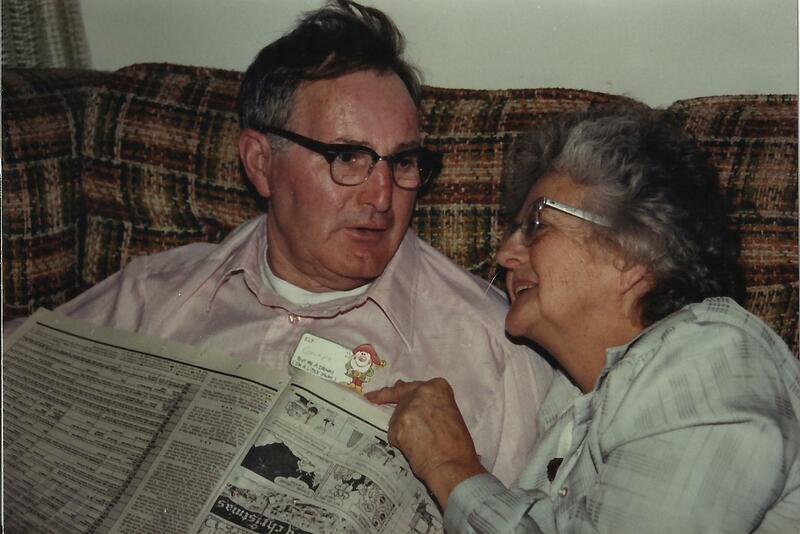 I try to find consolation in the loss of these two important people in my life by thinking they are together again. After a year is up, the guest book will no longer be online. I’ve copied the messages here to preserve them. V.A. Mom, we think of you every day. I’m glad you can be with Dad now, but we sure miss you. I have thought of your mom often over the past year. I kept thinking I would write her. I very much enjoyed the short time I was able to know your folks and will always remember them fondly. I enjoyed reading the stories in her and Clyde’s biographies. They were very special, I know they are and will be missed. My thoughts and prayers are with you all. I used to think my mom knew everyone in town. Eventually I realized that she just talked to everyone like they were a friend, whether she knew them or not. Thank you for all your writings. You will live on in the memories of those that have an opportunity to read them. All your writings & stories will bring comfort to us. Already missing you so much. I know this loss leaves you with heavy hearts. Your mother was such a strong lady. She just rolled along raising her family. I never saw her get excited or upset about anything. So glad she got to write. I look forward to reading her books about her and your dad. Gail was always there when you needed some help with 4-H and other areas. She was always someone who you could talk to and she would set for hours talking to you and enjoying all conversations. She will be greatly missed. I wish the best for all her family. I know I will always miss her for many reasons. May your mother’s memory be cherished for all she gave.